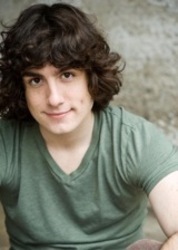 Jack DeSena is an American screen and voice actor. He is best known for his work on the sketch comedy series All That, having joined the show's cast at the start of its 7th season in 2001 (he tied with Logan Lerman for the 2005 Young Artist Award for Best Performance in a TV Series (Comedy or Drama) - Leading Young Actor for All That). His family moved to Irvine, California in 1999 and he attended school there. He was a very active member of the international ComedySportz troupe (a comic improvisation team that participates in games as seen on Whose Line is it Anyway?). He also did voice work for the character of Sokka on the Nickelodeon series Avatar: The Last Airbender. Recently DeSena has been working on the online mockumentary web series Dorm Life which is a 2008 Webby Honoree for Best Writing and Comedy: Individual Short or Episode.